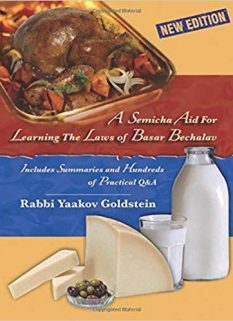 Preparing on the 1st day of Yom Tov on behalf of the 2nd day of Yom Tov – May one remove food from the freezer on the first day of Yom Tov on behalf of the second night meal? 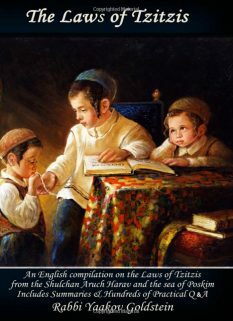 It is forbidden to do anything on the 1st day of Yom Tov on behalf of the 2nd day, or on behalf of Shabbos, even if the action does not involve any forbidden Melacha, and even if one performed Eiruv Tavshilin. This applies until after Tzeis Hakochavim of the first day. May one remove food from the freezer on the first day of Yom Tov on behalf of the second night meal? May one place drinks in the fridge or freezer on the first day of Yom Tov on behalf of the second day? This follows the same dispute as above. Practically, it is best to avoid doing so unless one plans to taste the cold drinks while it is still the first day of Yom Tov, in which case it is permitted according to all. 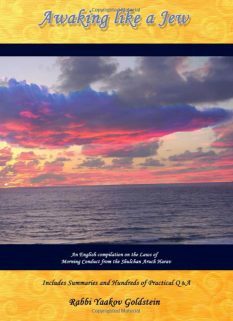 Opinion of Admur: There exist many different rulings in Admur regarding if one may prepare for after Shabbos/Yom Tov for the sake of loss prevention. [See Admur 254:10 and M”A 254: 23 that it is forbidden to remove bread from the oven for the next day, and seemingly, this is despite the fact that it will cause a loss to the bread, as explains, and questions the Elya Raba 254:18; In 319:18 regarding saving a food from spoilage Admur only permits preparing to prevent through a gentile. In 321:6 regarding watering vegetables to prevent shriveling, Admur only permits doing so being that it is for the sake of preventing loss and is not noticeable to others that it is for the next day, such as that perhaps he will eat it that day, and he thus does not extend the allowance to soaking three-day meat. However, in 500:20 Admur permits soaking meat of three days in water to prevent its prohibition in cooking being that soaking is less of an effort than washing dishes. This seemingly contradicts the ruling of Admur in 321:6, brought earlier, however, in truth the difference is that in 321:6 it discusses Shabbos when the raw meat cannot be cooked and is hence not edible, while in 500:20 it is discussing Yom Tov, when the meat is edible and hence does not appear to others like a preparation.] The final summary of his opinion seems to be as follows: It is forbidden to prepare for after Shabbos/Yom Tov even in a time of need, to prevent loss to the item, unless the following conditions are met. 1) One does so through a gentile. Or 2) It does not involve much effort [i.e. soaking] and it is not apparent to others that it is being done for after Shabbos/Yom Tov. No mention is made in Admur regarding if a case that involves a Mitzvah should receive greater leniency than above. Now, although in 503:3 Admur prohibits bringing wine on the first day of Yom Tov for Kiddush of the second day, which implies that no extra leniency is given even for the sake of a Mitzvah, nevertheless, perhaps if its both for the sake of a Mitzvah and a time of need or loss prevention, Admur would be more lenient. Vetzaruch Iyun! 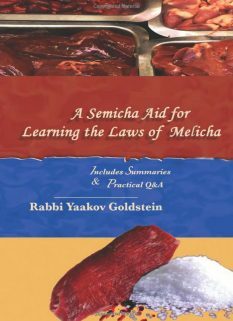 As if it involves Melacha, it is forbidden not just due to Hachana or Tircha from one day to the next, but also in its own right, as the Torah only permitted Melacha to be done on Yom Tov for the sake of Yom Tov. The reason: As it is forbidden to prepare for the next day of Yom Tov even if it will cause one to need to delay his meal later on. 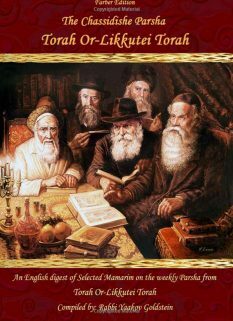 Opinion of Admur: There exist many different rulings in Admur regarding if one may prepare for after Shabbos/Yom Tov for the sake of loss prevention. [See Admur 254:10 and M”A 254: 23 that it is forbidden to remove bread from the oven for the next day, and seemingly, this is despite the fact that it will cause a loss to the bread, as explains, and questions the Elya Raba 254:18; In 319:18 regarding saving a food from spoilage Admur only permits preparing to prevent through a gentile. In 321:6 regarding watering vegetables to prevent shriveling, Admur only permits doing so being that it is for the sake of preventing loss and is not noticeable to others that it is for the next day, such as that perhaps he will eat it that day, and he thus does not extend the allowance to soaking three-day meat. However, in 500:20 Admur permits soaking meat of three days in water to prevent its prohibition in cooking being that soaking is less of an effort than washing dishes. This seemingly contradicts the ruling of Admur in 321:6, brought earlier, however, in truth the difference is that in 321:6 it discusses Shabbos when the raw meat cannot be cooked and is hence not edible, while in 500:20 it is discussing Yom Tov, when the meat is edible and hence does not appear to others like a preparation.] The final summary of his opinion seems to be as follows: It is forbidden to prepare for after Shabbos/Yom Tov even in a time of need, to prevent loss to the item, unless the following conditions are met. 1) One does so through a gentile. Or 2) It does not involve much effort [i.e. soaking] and it is not apparent to others that it is being done for after Shabbos/Yom Tov. No mention is made in Admur regarding if a case that involves a Mitzvah should receive greater leniency than above. Now, although in 503:3 Admur prohibits bringing wine on the first day of Yom Tov for Kiddush of the second day, which implies that no extra leniency is given even for the sake of a Mitzvah, nevertheless, perhaps if its both for the sake of a Mitzvah and a time of need or loss prevention, Admur would be more lenient. Vetzaruch Iyun! All in all, if we view the concept of delaying the meal for many hours in wait for the food to defrost as equivalent to a loss, then Admur would permit defrosting it on the first day of Yom Tov with much time left in the day on the basis that one is not really doing any action other than removing it from the freezer. It is hence similar to the law regarding three-day meat. See Piskeiy Teshuvos 302 footnote 146 who permits doing so on the same basis as removing from the freezer.